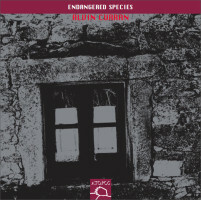 Alvin CURRAN: Endangered Species (2009). Alvin Curran (samplers, electronics, etc.). Atopos ATP 015 (1 CD, 66:16, rec. Sep. 27, 2009) (http://www.atoposmusic.com/). This is likely to be one of the best CDs I will have heard all year, and it’s on a favorite new label. Endangered Species is a generous collage assembled realtime from samples Curran has collected throughout his life. Often looped, the materials are predominantly voices and mechanical sounds recalling Schaeffer and Henry’s early concrète. Human singing and speaking suggest Schwitter’s meta-language in Ursonate perhaps because Curran’s material is global in scope with pop music and sounds from across the world. There’s also an autobiographical aspect. I hear Feldman’s voice at least once, and Cage multiple times. There are probably other homages I wouldn’t catch. At around 20:11 we hear the distinctive announcer from the Cage / Tudor recording of Variations IV (Legacy 439) albeit a bit scrambled. Overall, the mood is mostly gentle, with B-movie juxtapositions and effects; sometimes the overlays whirl into moments of high-pitched violence. Some loops are funny: the auctioneers, the jazz and klezmer bits, the woman in ecstasy, the balls ricocheting on a pool table. Repeated listening pulls initially dense areas into focus. The technical notes offer few clues: MIDI keyboard, computer with Kontakt sampler, Fireface interface, amplifiers and speakers. After a while it dawns: We are what is endangered. 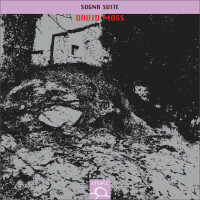 “Sogna Suite.” David MOSS: Var. comps. (1994-2002). David Moss (voice, percussion, electronics). Atopos ATP 008 (1 CD, 53:07, rec. July 25, 2002) (http://www.atoposmusic.com/). Atopos captures the impossibly flexible vocal artist Moss in a live solo performance from 2002. Moss employs some percussion and electronics, but doesn’t really need to as he’s able to produce sounds emulating a terrifying ringleader or a petulant accountant with all sorts of wild sopranos and tenors in between. There are pieces where Moss tells a story (Strange Story #7 and #8 borrow from Italo Calvino), others where his rapid-fire nonsense patter could induce claustrophobia (Diomira). For the most part, electronics are used lightly and Moss is securely at the center. Also on the program are a fanciful realization of Cage’s Solo for Voice, No. 67 and Moss’ live work over a soundscape recording by Fulvio Di Rosa, Pantanal, recorded in the eponymous Brazilian wetland. Pietro GROSSI: Quartetto (1957)1; Composizione No. 5 (1959)2; Composizione No. 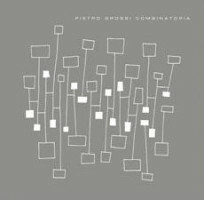 6 (1960)3; Studio from Tre Pezzi (1960)4; Composizione No. 11 (1961)5; Composizione No. 12 (1961)6; Create C (1972). Quartetto Elisa1,3,6: Duccio Beluffi, Gabriele Beliu (vlns), Fabrizio Merlini (vla), Giovanni Lippi (vlc), Marco Martelli2, Marco Mazzinghi2, Stella Sorgente2 (cbs), Andrea Nannoni4 (vlc), Donatella Debolini5 (sop), Giancarlo Cardini5 (pno). Atopos ATP 016 (1 CD, 72:30, rec. Oct. 9, 2010) (http://www.atoposmusic.com/). “Combinatoria.” Pietro GROSSI: excerpt from PG 4 (1965); excerpt from SP (1965); excerpts from Create A, Create B, Sound Life, et al. Pietro GROSSI / S 2F M: excerpt from OM (1966). Vittorio GELMETTI: Modulazioni per Michelangelo (1965). Riccardo ANDREONI: excerpt from Studio sugli impulsi (1968). Albert MAYR: excerpt from Proposta Sonora VIII (1968). Aurelio PERUZZI: Studio 1 (1967). SMET: EL 25 (1966). NPS: Interferenze 2 (1967). Die Schachtel DS20 (2 CDs) (http://www.die-schachtel.com/). Grossi began his career as a cellist. He was a member of Orchestra del Maggio Musicale Fiorentino from 1936-66, and a cello professor at the Conservatorio di Musica Luigi Cherubini in Florence from 1942-82. In the early 1960s he founded the Studio di Fonologia Musicale di Firenze (S 2F M) and drifted away from cello performance. Following the Atopos program’s logic, it is inevitable that Grossi would have become an electronic-music pioneer. Contrasting the three string quartets, the thick contrapuntal activity of the 1957 Quartetto soon yields to the massed and sliding chords of Composizione Nos. 6 and 12. As Grossi’s music evolved, his titles became abstract, the music’s content concerned more with methods, color and timbre. Programmed between the first two quartets (Quartetto and Composizione No. 6) are the three movements of the contrabass trio Composizione No. 5. For the cello etude, the soloist produces dyads only before dissolving in a quietly retreating melody. Composizione No. 11 asks for voice and piano. Both are limited to single syllables or notes, there appears to be no text (and this instrument actually sounds like a synthesizer). Composizione No. 12 seems to revolve around dense clusters as the quartet’s material gradually slides. It could be mistaken for something by Scelsi, Coates or a dissonant minimalist. The last piece on Atopos’ program is Create C, an early electronic composition with bright beeping sine tones and filtered white noise. 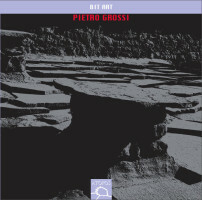 What Grossi was up to in the interim can be heard on the first disc of the two-disc Die Schachtel release presenting Italian electronic pieces from the late 1960s. Grossi’s excerpts are from installations or sound objects from larger juxtapositions. It’s clear that Grossi was trying hard to push past the technical limitations (even though mono streams of sines and filters are the dominant sources) and investigate different rhythms (pulsing, phasing) and structures (chance, algorithms). Among the works by others who passed through Florence in the 1960s, are Gelmetti, who fashioned the electronic score for Antonioni’s Red Desert, here represented with Modulazioni per Michelangelo. Two other studios are represented with one piece each: Studio of Electronic Music of Turin (SMET), and Nuove Proposte Sonore in Padua (NPS). The NPS’ piece opens with aggressive blips before settling into filtered noise. None of these works admits recorded sounds – everything is synthesized within the studios’ walls. Die Schachtel’s second disc is devoted to Grossi, and organized according to “the permutational procedure used by Grossi in a large number of his works.” 22 short pieces are collected into categories and then distributed according to a complete series. Electronic etudes surround transcriptions and variations of Bach and Scarlatti. The Sound Life series (Nos. 24, 11, 17, 25, 27, and 42 with variants and repeats) explore synthetic textures and non-standard tuning as multiple tones overlap, an advance over earlier technology where singly sounding tones led to rapid bursts. As Grossi moved away from instruments into electronics, it’s evident he was thinking about organization, balancing Bach’s purposeful designs from Art of Fugue with randomly generated and modified tones.